I am relatively new to Korean food, but after my first taste a couple weeks ago in D.C., I couldn't wait to find a place local to me in Baltimore that would be safe for me to eat at. After a tip from a friend that Brown Rice Korean Grill had gluten-free options, I eagerly planned a trip down Baltimore's historic Charles Street to check out the restaurant for myself. 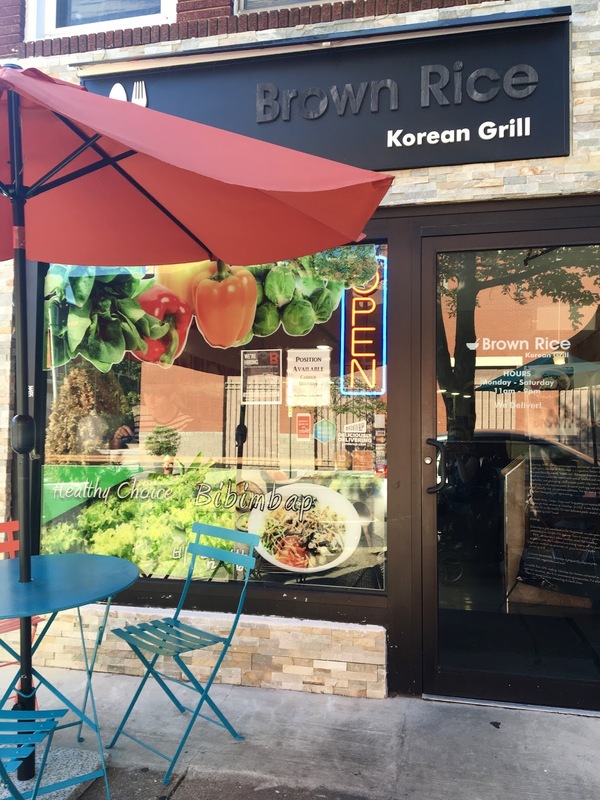 Brown Rice offers Korean food in a DIY fashion where diners design a custom bowl from a variety of bases, meats, toppings, and dressings. As a newbie to Korean food, this really made the food totally approachable. Like many Asian cuisines, Korean food is definitely dairy-free friendly, as milk, yogurt, or cheese are largely absent from the menu. 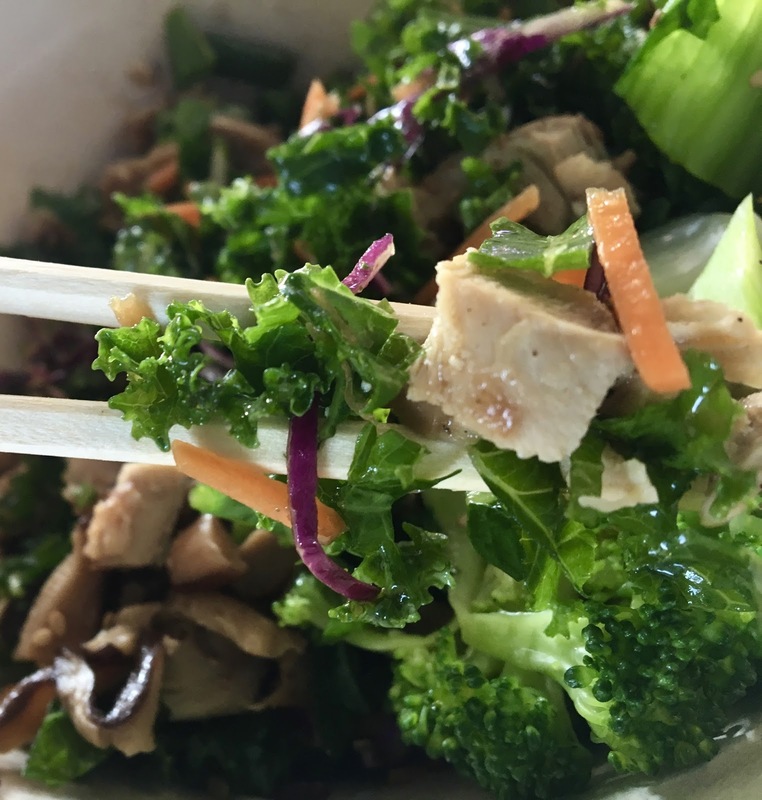 Gluten is a little trickier, but Brown Rice has gluten-free options marked that make navigating the menu easier with the help of staff members as well. I emailed the restaurant before visiting to confirm that they indeed had gluten-free options before setting out. Once verified, I was interested to see how knowledgable the staff would be. Portions are offered in three sizes, medium (16 oz), large (32 oz), and an in-house-only large portion served in a hot stone bowl. Because I was taking mine to-go, I opted for the large because it gave me more freedom to choose toppings (7) versus the four allotted for medium bowls. Although I was told via email that all bases (different rices and kale salad), the staff told me only the salad was safe, as the restaurant serves barley rice (which is not gluten-free). From there, I chose chicken bulgogi as my protein (you get a double portion with the large bowl). As my selected seven toppings, I piled on all veggies- zucchini, carrot, green beans, bean sprouts, mushroom and broccoli. Topping it off, I added sesame seeds and gochujang sauce, which is the only gluten-free variety (it's made with gluten-free soy sauce). I have to admit that I was a little underwhelmed by my bowl. The kale salad was definitely the best part, which surprised me as I typically do not enjoy kale. The chicken was good, albeit a little flavorless and the vegetables were a little lackluster as well. I finished the bowl off, but can't say that I was overly impressed. I will say that the portioning is generous, and when loaded up with vegetables, made for a nice dinner after a long day at the Natural Products Expo East sampling lots of sugary, carb-laden foods. While I don't think I will be a regular patron of Brown Rice, I appreciate that they have gluten-free options on hand.